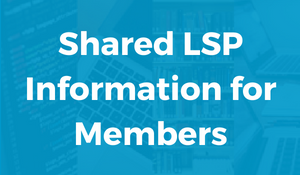 Further information for library staff is available on the members' Shared LSP site (login required). Please click on the box above to access the site. We are pleased to announce that Ex Libris has been awarded the contract for a Shared Library Services Platform for its member libraries. Documents related to the award may be viewed on the Division of Procurement Services website. Read the Ex Libris press release. PASCAL libraries are engaged in planning and implementation of a common next generation platform that will reduce costs, improve the research experience for students and faculty, and allow libraries to better manage their resources. The shared Alma platform and Primo solution will replace the aging library management systems currently used by South Carolina’s academic library community, expand collaborative efforts among PASCAL libraries and support key elements of PASCAL’s strategic agenda. How will a shared LSP help PASCAL libraries? Improved functionality for library staff | The modern library services platform will integrate and streamline the management of print and digital collections, resource-sharing between libraries, and provide a search interface for users. Improved discovery & access | The shared system will include a discovery solution – a single, intuitive search interface for print and digital resources. A powerful and customizable search interface will allow all SC students and faculty to quickly find resources on their own campus and those available through the PASCAL community. Collaborative collection development | The shared system will allow PASCAL libraries to easily collaborate on collection management and development, resulting in a more comprehensive and diverse statewide research collection. Streamlined management of electronic resources | An integrated e-resource management (ERM) tool will allow local libraries to better manage e-resource workflows. PASCAL staff will be able to enter data and manage PASCAL provided e-resources for all members, reducing the work at local institutions. Seamless access across institutions | Transfer students, faculty working and studying at multiple institutions, and distance education learners who access resources from more than one institution will no longer encounter a different search interface at each institution, meaning less frustration allowing for more focus on their research. Improved information literacy & user instruction | With a common interface across institutions, PASCAL libraries can collaborate on instructional tools that can be used statewide. Powerful analytic tools | Improved assessment tools will provide insight into usage of resources, enabling libraries to better meet the needs of their patrons. Cost savings | Statewide, fees paid by participating libraries for ongoing costs should be significantly lower than current payments for legacy systems. Migration costs will be paid by PASCAL, enabling all member libraries to move to a comprehensive, modern platform.